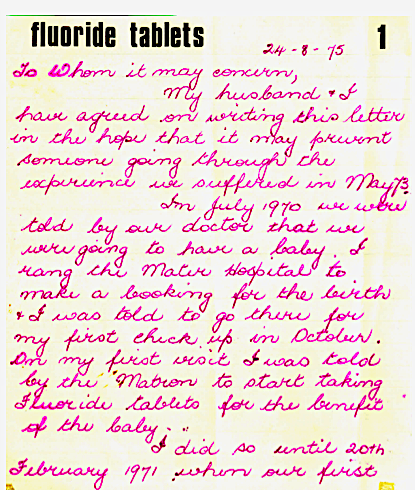 Fluoridation Australia | FLUORIDE TABLETS – DEATH CERTIFICATE and original hand written letter. 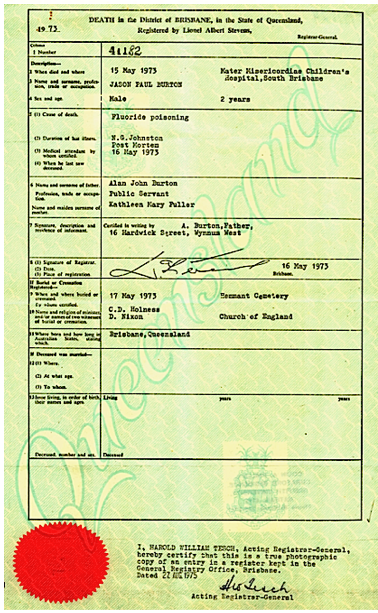 FLUORIDE TABLETS – DEATH CERTIFICATE and original hand written letter. could only find four tablets in his stomach. When he was one year old the welfare clinic told me to start giving him 1/2 of a fluoride tablet per day. I did so for 15 months. 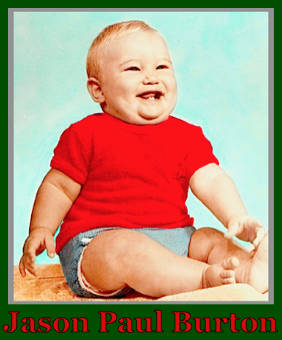 When he was 27 months old he got hold of the fluoride tablets, ♦ and at the time I didn´t know how many he had eaten, but I knew it wasn´t many. At 5:30 P.M. I realized that something was wrong, as I couldn´t wake him. 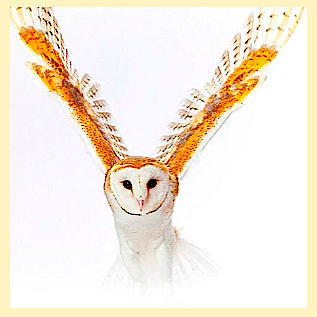 I rang the doctor and was advised to take him back to the surgery. The doctor saw him straight away and told me to take him to the maternity hospital. 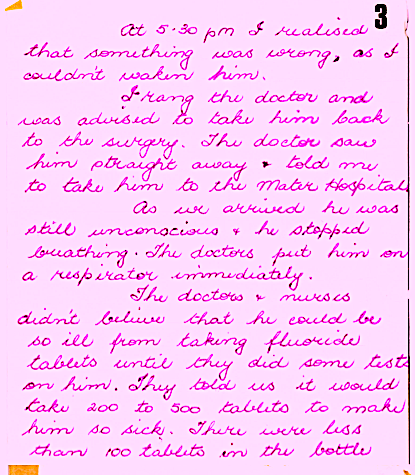 As we arrived he was still unconscious and he stopped breathing. The doctor put him in a respirator immediately. NEVER approved fluoride supplements as safe and effective. A FAMILY who lost their son and brother to fluoride poisoning has grave concerns about the State Government’s decision to add fluoride to Queensland’s water supplies. 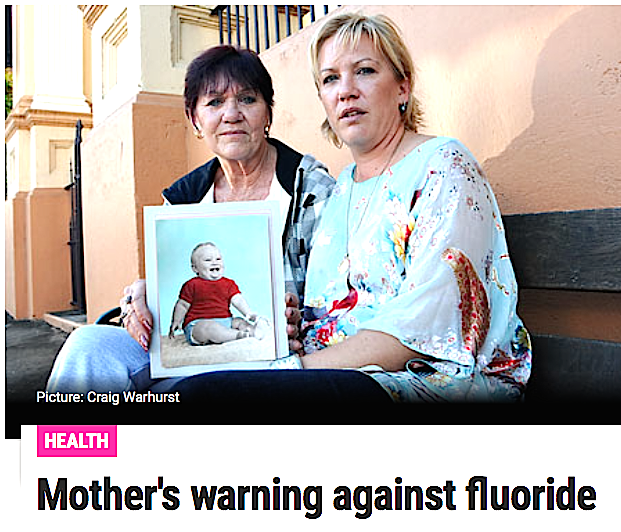 For the past 37 years, Kathy Grinter has fought to have her son’s death recognised as a death from fluoride poisoning in an effort to warn the public of the possible dangers. She told The Gympie Times all her efforts so far had been shut down. 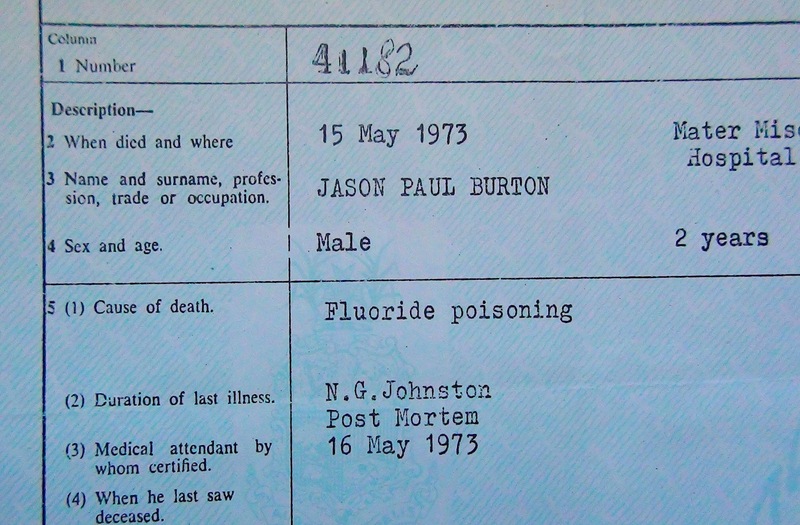 No inquest was held into the death of one-and-a-half year-old toddler Jason Paul Burton however, in black and white on the baby’s death certificate and the post mortem examination report, it clearly states the cause of Jason’s death was fluoride poisoning. “I have hit brick walls at every turn trying to bring what happened to my son out in the open,” Ms Grinter said. Ms Grinter has been told by the Dental Association and various government departments that all the legal documents she has are fraudulent and her son’s death could not possibly have been caused by fluoride. She’s been called a liar and told to stop talking rubbish, but Mrs Grinter says she won’t be bullied by the government or “so-called experts” into giving up. Ms Grinter said all the documents on her son’s death were handed to Premier Anna Bligh by the anti-fluoride lobby. The reports state the child had been given half a fluoride tablet a day as instructed by a doctor and on the day of his death he had found the bottle and swallowed an unidentified quantity of fluoride tablets. 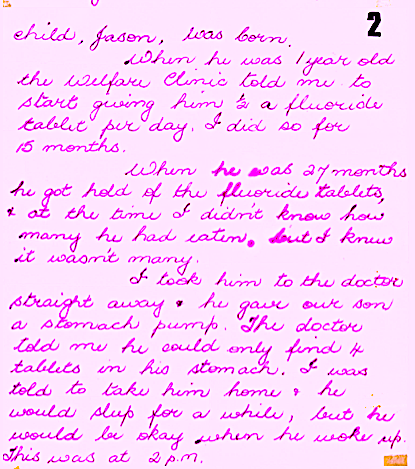 Four tablets were found in Jason’s stomach and doctors said his symptoms were consistent to fluoride intoxication. 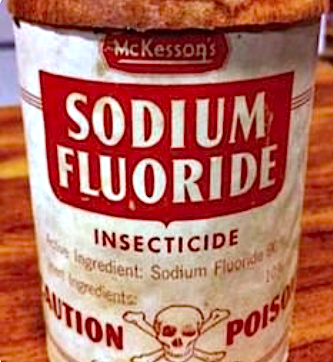 A coroner’s report stated the most probable cause of death was fluoride ingestion because of the history of fluoride overdose and the positive blood fluoride level, however the Department of Justice in Queensland has said they never made such a statement. Jason’s sister Roschelle Burton moved from Brisbane to Imbil two years ago for “a cleaner environment” and worries that her family will be affected when fluoride is added to Gympie regional water supplies. 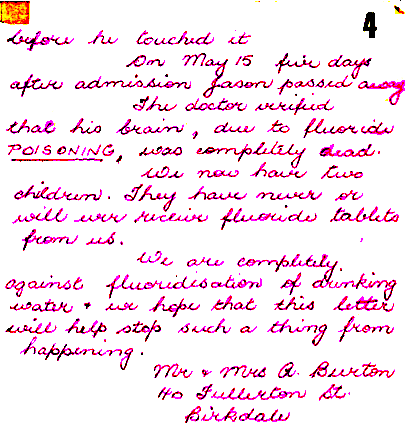 Ms Burton said she has never given her children fluoride and her eldest, 13, doesn’t have a filling in his mouth. “All we are against is forced medication. People should have a choice and it should be an informed one. 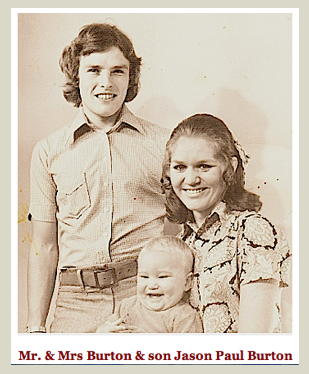 All I want is my son’s death acknowledged and recorded.